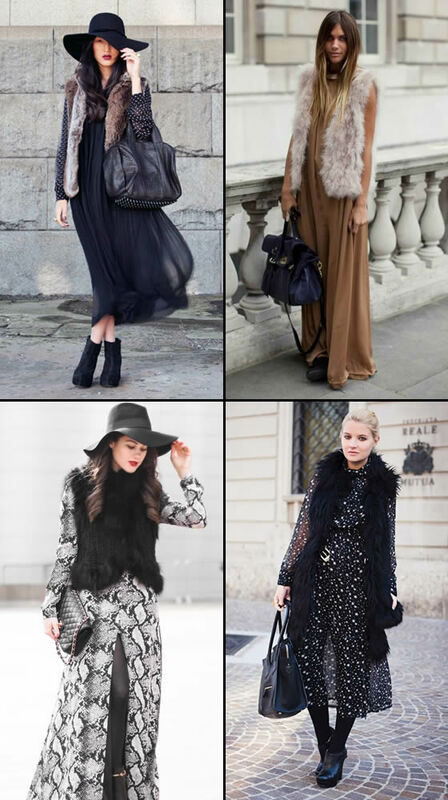 Nevertheless, there is always a mix that really works: the long dress and the fur vest. Is one of my favorites matches and is so so stylish!! It looks so cool ! Great trend.